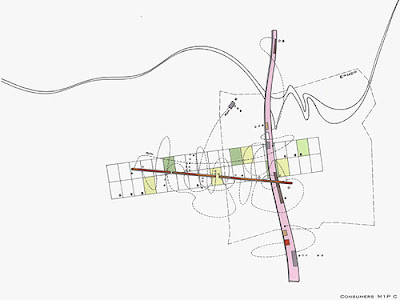 "In 'You are the City', the 22 diagram drawings are split into four operational categories: Cosmological Ground; Leglisative Agencies; Currents, Flows and Forces; Nodes, Loops and Connections. 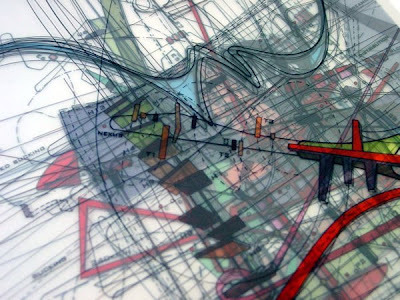 It provides a tool to observe, organise and outline the dynamic structure of cities in a non-hierarchical manner. Thus the urban construct can be studied and revealed in multiple ways, without assuming a specific order. Although we will never fully comprehend the entire complexity of a city in one moment, we can understand the urban construct through the interaction of its parts. This set is comprised of twenty-two transparent index cards that can be either viewed one at a time or in various overlaid combinations. By isolating and superimposing individual components, new perceptions and viewpoints will emerge. There are as many interpretations of cities as there are people. You are the City is a powerful antidote to most city-planning exercises, a conscious attempt to free up rigid spatial thinking and start thinking about networks and connections instead. Petra Kempf can help us move from the notion of ubiquitous urbanism to that of the continuous city."